The holiday party season is coming up, and if you’re the lucky one hosting, that means you have the honor of cooking, cleaning and making your table look inviting to every friend and family member who RSVP’d. Instagram is a goldmine for beautifully set tables, and lurking around #tablescapes made us wonder: How exactly do we do that? So we found some of our favorite dining table sets and asked an interior designer for her thoughts. Are you hoping for a rollicking good time with many cross-conversations or a quieter evening? Tables like the one above serve a casual, energetic dinner well. Andrea Rosewall, an interior designer in Glendale, Arizona, points to the salt and pepper pinch pots as an element that served a relaxed dining experience well. “You don’t have to use orange, brown, red and yellow” for fall colors, Rosewall says, pointing to the mixture of chalk-colored pumpkins. Pairing dark colors with an all-wood table like this one helps to “punch up that rustic feel,” Rosewall says. If you have a dark table, she recommends offsetting it with candlelight and sparkly decor. 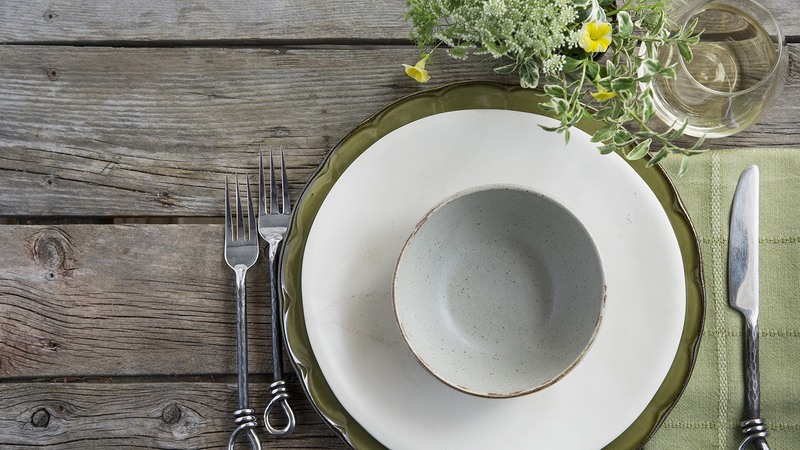 “The special thing about this tablescape is the book page place mats,” Rosewall says, which makes the set “truly charming.” Consider investing in one or two unique classy details to make your tablescape stand out. Rosewall points to the greenery, which could even be hand-harvested before a party in some areas, and the apples, which are as much decoration as they are food. The white candles add to the “beautiful and simplistic” feeling, she says, and those could be purchased inexpensively at craft stores or even a dollar store. If you’re working with neutral colors like blacks and whites, a pop of color, like the roses in this photo, is key to making the tablescape “not feel too traditional,” Rosewall says. “The crystals, mirrors and glass add a very glam feature to this table,” Rosewall says. Pair glassy surfaces with sharp contrasts like the dark wood table and white plates for an especially luxurious look. “All the elements tied together are what makes these tables so pin-able,” Rosewall says. Multiple textures, heights and colors all add interest that make a table pop.